Several years ago, I heard about how Mandibular Advancement Devices can help with a snoring problem. I quickly realized that owning a custom-made mouthpiece that’s created by a dentist was cost prohibitive. This led me to search for a Do-It-Yourself type guard and it wasn’t long before I discovered that a self-molded product does, in fact, exist and at a fraction of the cost of one found at the dentist’s office. Before spending the $60 or even $100 on a mouthpiece, I wondered whether a snoring mouthpiece would work for me. After a few minutes of research, I came across a couple suggested tests that can be used to help determine if a mouthpiece is a viable solution to a snoring problem. There are two different types of mouthpieces that are available – MAD’s and TSD’s. Here are a couple quick tests that you can try at home to help determine if either product will work for you. The tongue test is a great way to tell if a Tongue Stabilizing Device (TSD) may be a good fit. Start by laying on your back and relaxing. Once in a relaxed state, recreate the sound of snoring as if you were sound asleep. Next, stick out your tongue just past your front teeth and continue to create the sound of snoring. While transitioning between making the snoring sound with your tongue in and out, be sure not to spend any more or any less effort in doing so. If you noticed that the sound of snoring was greatly reduced or even eliminated with your tongue out, you may find that a snoring mouthpiece will work for you. This test demonstrates how a TSD could help, it’s very likely that a MAD will also be effective. Another simple test that you can perform at home is the jaw advancement test which simulates the action of a Mandibular Advancement Device (MAD). A MAD is another type of snoring mouthpiece that closely resembles what you would find at a dentist’s office. 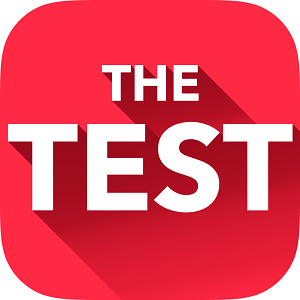 This test is performed in a similar fashion as the tongue test. You simply lay on back, relax, and begin to make the snoring sound. Continue doing so for a few breath cycles and without changing your breathing, move your jaw slightly forward and take notice of any change in the sound of snoring. If you notice a significant improvement in your snoring, chances are a jaw advancing snoring mouthpiece is going to be a good choice. Will A Snoring Mouthpiece Work For Everyone? You’re probably wondering if the snoring mouthpiece is 100% effective. While I have had great success using one myself as well as several close friends and family members that I recommended them to, a mouthpiece may not be the solution for everyone. While effectiveness seems to vary from one study to another, they seem to be effective somewhere between 80% and 90% of cases, which is higher than any other snoring solution out there. In fact, no other anti-snoring product has been studied nearly as much as the snoring mouthpiece. Physicians have known about their effectiveness since the 1980’s. If you tried the test above and did not have success, it’s possible that a mouth guard still may work. There are numerous products out there that are offered on a “no risk” basis with a 30-day trial. In most cases, if the mouthpiece doesn’t work, you may simply ship it back for a full refund. Next post: Will a Humidifier Help To Stop Snoring? 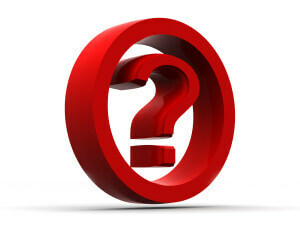 Previous post: What is an FDA “Approved” Snoring Mouthpiece and Why Is it So Important?